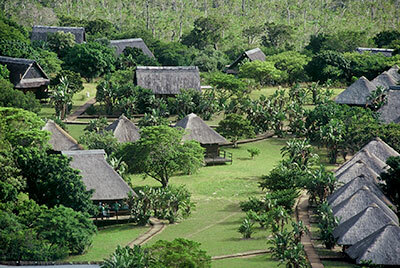 Sodwana, meaning “little one on it’s own” in Zulu, could as well mean “little paradise on it’s own”, as it is a paradise for anyone with an interest in the great outdoors. Sodwana Bay’s coral does not form a continuous reef but is clearly divided into a number of reefs that run parallel to the shore, each one designated by its distance from the launch site, Jesser Point. They occur on the continental shelf which is approximately three kilometres wide in this area. The reefs are off shore and can easily be reached by boat. According to geologists the reef rock base on this coastline is late Pleistocene sandstone, which are the remnants of ancient dunes and beaches that were built up by the sea and wind and fossilised about 80 000 years ago when the sea level was about 20 meters lower than it is at present. These reefs are part of a series of reefs that run from Leven Point into Mozambique. Although called coral reefs, they are an adapted form because they are not exposed above the water surface during low tides and are not based on a thick primary coral reef building base. Sodwana’s corals grow on rock reefs. These reefs tend to be flat with low pinnacles, shallow drop-offs and gullies and range in depth from –8 m to approximately –115 m. According to scientists who have studied the reefs at Sodwana, they are at least 4 000 years old. These reefs are one of the southern most coral reefs in the world and are even more south than Australia's Great Barrier Reef. The Great Barrier Reef has 1 800 species of fish and Sodwana which is 1/10 the size of the Great Barrier Reef has 1 200 species of fish, 6 of which are endemic to the Sodwana area. Therefore your chances of seeing more species of fish are greater at Sodwana than at the Great Barrier reef due to the concentration of the area that you are diving on!. The fairly unimaginable names of the reefs, Quarter Mile, Two Mile, Five Mile, Seven Mile and Nine Mile, belie the beauty of these popular dive sites. Two mile is the largest of Sodwana’s known coral reefs and is also the most dived upon. The reef is about 1,7km (just over a mile) long and up to 900m (½ a mile) wide. Strong currents or surges are rare and it is therefore an excellent site for night dives. The reef life differs in areas and the diver can do a number of varied dives on this accessible reef. The depths vary from a relatively shallow 12m (40ft) to a maximum of 36 (120ft). The surf launches are a unique and exciting experience. Divers help to push the boat into the shallows, jump in once the engines are started and then hold on tight as the skilled skipper negotiates the waters. Although every reef hosts its own territorial inhabitants, some of which are very predictable, something new and unexpected often happens: perhaps a visit from a school of dolphins or a brush with an enormous whale shark. The best months for diving Sodwana are from April through to September with the best underwater visibility during May and June. The water temperature is always above 21ºC (70ºF) with averages of around 24ºC (75ºF) rising to heights of 28ºC (82ºF). The reef system in Sodwana Bay is the healthiest and most diverse system I have seen in my 23 years of doing tours. I have dove all over the world and our facility books 10-30 trips a year and I have never been so impressed by any reef system. This region stretches from St. Lucia in the south to Kosi Bay in the north. 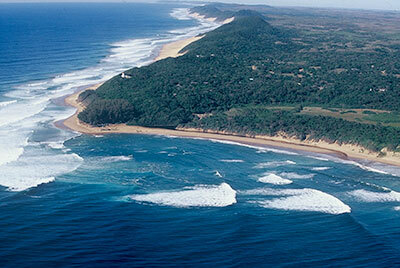 Sodwana is South Africa´s premier tropical dive site. The region is characterised by long, deserted beaches edged by high, forrested dunes. Behind the dunes are swamp forests dominated by magnificant fig trees. These fig trees host a multitude of living things, small and large. 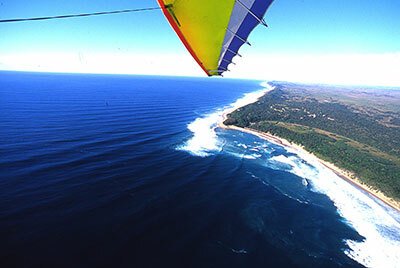 Further inland are the vast fresh and salt water lakes of St. Lucia, Sibaya and Kosi Bay. The Greater St Lucia Wetland Park - extending from south of the St Lucia Estuary to Sodwana Bay - encompasses the magnificant Lake St Lucia and protects a large marine reserve, game-filled dry savanna, the wetlands of the Mkuze Swamps and ancient coastal dunes with their indigenous forests. It is in response to the threatened mining of these dunes that the many smaller parks and reserves in the area were recently consolidated into this more easily administered unit. To the average visitor, the various sections still maintain their individual identity and seem to operate independently. Reefs offer the only true tropical diving in the country with water temperatures in excess of 20 degrees C (68F). 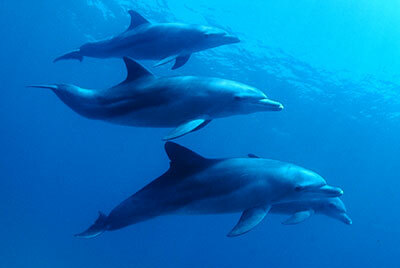 Found in the area are Indo-Atlantic species of coral and other sea-life. Home to more than 1 200 species of fish. Bottle-nosed dolphins, turtles, sharks and whale sharks. Sodwana is a National Park. Depth of reefs: varies from a few meters to 30 meters (100ft) - with many reefs at no more than 18 meters (60ft). Visibility averages between 10 and 40 meters (33 to 130ft), and is particularly good in winter. May through October. Sodwana has a great variety of reefs - from reefs with delicately patterned hard corals, to those with an abundance of life-forms - to ones with pinnacles, buttresses, caves and blow holes. The best months for diving are from April through to September with the best underwater visibility during May and June. The water temperature is always above 20oC (70oF) with averages of around 24oC (75oF), rising to as high as 28oC (82oF). Please be advised that all diving in South Africa is best done early in the morning, just after sunrise, because as the morning wears on, the wind tends to pick up causing a chop on the water which makes diving upleasant. 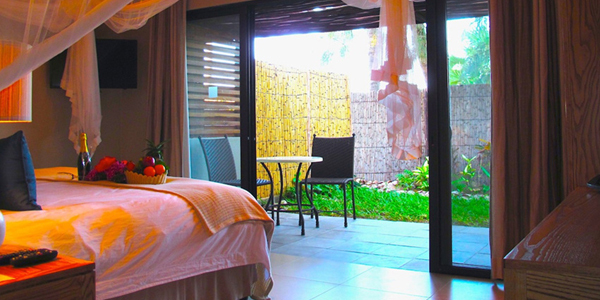 This leaves the afternoons free to explore your new surroundings. It is only recently that scuba diving has overtaken game fishing as the main recreational activity in these waters and, at present, the only sot with good diving inffrastructure is Sodwana Bay, widely accepted to be the mecca of diving in South Africa.lidays. With dive sites in Sodwana ranging from twelve to forty meters there are sites and sights for divers of all qualifications and experience levels. Whether you are completing your entry level course with us or are a Master Instructor who has taught all over the world Sodwana is impressive. The majority of the reefs are named after their distance from the launch area. Fourteen meters, very close inshore and only dived in calm conditions. In the summer time Quarter Mile Reef is home to gestating Ragged Tooth/Grey Nurse/Sand Tiger sharks which will approach within centimetres of the divers. These sharks, completely harmless (you can see the algae on their teeth as they don’t feed whilst pregnant) provide a thrilling experience and a wonderful photographic opportunity. When the Raggies move off the reef is a rocky, rubbly area with many large rays, juvenile morays and a common area for turtle sightings. There are several resident schools of Kingfish/Jacks/Trevallies as well as passing Barracuda. When the sharks are resident we consider this an advanced dive. Many clients favourite reef, only slightly further than Quarter Mile another shallow reef (max depth fourteen meters). One small island of reef surrounded by sand ripples and a short cross over to Big Stringer where the dive shallows up to about nine metres. Home to schools of Snapper and Goatfish, Potato Bass (both young and the old white Potato Bass) Longnosed Emperors, cleaner shrimp, Variegated Paperfish, Durban Dancing Shrimps who will clean your fingernails given half a chance and most impressive a Ray cleaning station. Expect to see massive rays moving slowly in circles through clouds of Goldies and Dominos. In summer watch the Sergeant Majors aggressively protecting their eggs from thieving Wrasse . Stringer is a dive site perfect for divers of all levels. Interconnecting three reefs, Hopscotch, Bikini and Mellow Yellow. This system ranges from 24 to 18m in depth. These dive sites are home to some of Sodwana’s best macro life; Frogfish, Paperfish, Scorpionfish, many varieties of cleaner, partner and anemone shrimp, Garden Eels, Starry Morays, Dragon Morays, Ghost Pipefish. If it’s macro and worth a photo, you’ll find it onThe Bikini ReefSystem. But on the other hand, before you rush to fit your macro lenses, rememberThe Bikini Reef System is the best area to sight Mantas…. If you want to hang back and photograph the macro life, ask the beach manager to provide you with your own divemaster. We normally consider most parts ofThe Bikini Reef Systemas an advanced dive and isperfectfor nitrox. It’s hard to describe Two Mile Reef. It’s difficult to get across the size, variation and wonder of this site. If the other reefs we dive are villages, Two Mile Reef is London. About two kilometres long and one kilometre wide, there are more than thirty dive sites onTwo Mile Reef. Each dive site has a number of routes and each of your dive guides will have his own variation of these routes. You could diveTwo Mile Reef twice a day for a month and never see the same spot twice. 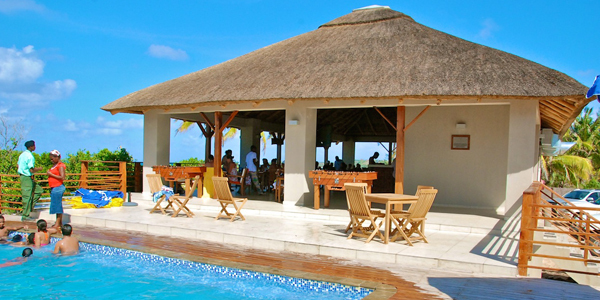 Ranging in depth from twelve to thirty metres Two Mile Reef can show you everything that Sodwana has to offer. The Anton’s massif, the gullies at Wayne’s World (filled with Raggies in summer), the shark caves on Whitetip, sharks teeth littering the sand at Caves and Overhangs, Trumpetfish hiding amongst Snappers waiting for the unwary by Four Buoy, a Seahorse on Roonies, the Old Woman Angelfish that twists and turns through your bubbles during your ascent and follows you all the way to your safety stop. But don’t dive too quickly, don’t be taken in by the topography and schooling fish. Beneath the splendour of the fish life teeming over the reef each nook and cranny holds something amazing. Tomato Scorpionfish and Coral Crabs living side by side, Crayfish only noticeable from their antennae. Motionless Rockcod, mouths agape being cleaned by Wrasse and shrimp. The Manta Ray that only you see, the sound of nearby whales, the pod of dolphins that played above you for the whole dive that only the boat skipper saw. Two Mile Reef is Life. Our furthest reef, seldom dived, weather conditions need to be good, but in every way worth the effort of getting there. As with all of our further reefs, the longer boat journeys increase your chance of seeing surface action, dolphins, sometimes hunting, sometimes playful and inquisitive, Mantas, Turtles and our icon the Whaleshark. Made up of four individual reefs. The Five Mile Reef System varies in depth from forty to sixteen metres. Each site on The Five Mile reef System is considered an advanced dive. Ribbon is an elongate reef split into two parts. Joined by rubbly stepping stones. Varying in depth from eighteen to twenty one metres. Surrounded by sand, Ribbon is home to many Rays and provides enough shelter for many juvenile species of Moray, elusive Harlequin Shrimp, Garden Eels and cleaner stations. One of two places in Sodwana to findbothmale and female Ribbon Eels, hence the name. Ribbon is suitable for either macro or wide angle photography. Pothole is entirely reef, with very little sand. For this reason it is an excellent place to dive in periods of surge as there is so little sand to degrade visibility. The centrepiece of this dive is the Pothole itself. A three metre deep hole in the reef, wide enough for two divers to enter, home to Squat Shrimp, Pineapple fish, Pipefish, Crayfish, Boxer Shrimp, Tropical Flounder and massive Honeycomb Morays. Our newest reef, a tenuous extension of Pothole. discovered by our Local Divemasters during a fun dive, the name is a corruption of the Zulu word for terraced or stepped.Zombieranges from twenty two to sixteen metres in depth, has four large resident schools of various snapper and goatfish and displays some fantastic topography, like an ancient ziggurat the reef steps down to deeper levels. The structure is riven by crevasse like gullies, each one a pleasure to explore. Each dive we make here we discover more and more. At forty metres deep and further out to sea than the rest of the Five Mile Reef System. This site is restricted to divers with the appropriate qualification. With such a short bottom time this dive can be a gamble. Best dived in a current with good vis, this is the place to go to see larger sharks, Tigers and Zambezis (Bull), Hammerheads, schooling Rays. Nothing is guaranteed but everything is possible. A steady twenty five metres deep. Six Mile Reefis a drawn out reef. We normally dive the inshore edge, with sand on one side it make a perfect stable position for wide angle photography of the incredible schools of Snapper, Goatfish, Fusiliers interspersed with groups of hunting Kingfish. Reef life is excellent, potato bass, various other groupers and a regular site for Manta encounters. We are the only operator to diveSix Mile Reef. This reef is an advanced dive and is perfect for Nitrox. Regularly featuring in top ten site lists in diving magazines. Seven Mile Reefis a microcosm of Sodwana; stunning topography, amazing schooling fish, delectable macro life.Seven Mile Northern Wall, Amphitheatre and Mushroom Rocks will leave an indelible impression on any diver. Ranging from twenty four to sixteen metresSeven Mile is the only wall dive in Sodwana. This is a photographers dream, the clusters of fish around the outcrops on Northern Wall cry out for wide angle. At the deepest twenty meters, at the shallowest fourteen metres. Eight Mile Reef is like all the best bits of Two Mile Reef condensed into one dive.